Sykes was previously seen on several television shows over the past two years. Her Own special “Herlarious” which aired in July highlighted female comics. Last year she made a return to HBO’s “Curb Your Enthusiasm” starring opposite Larry David. 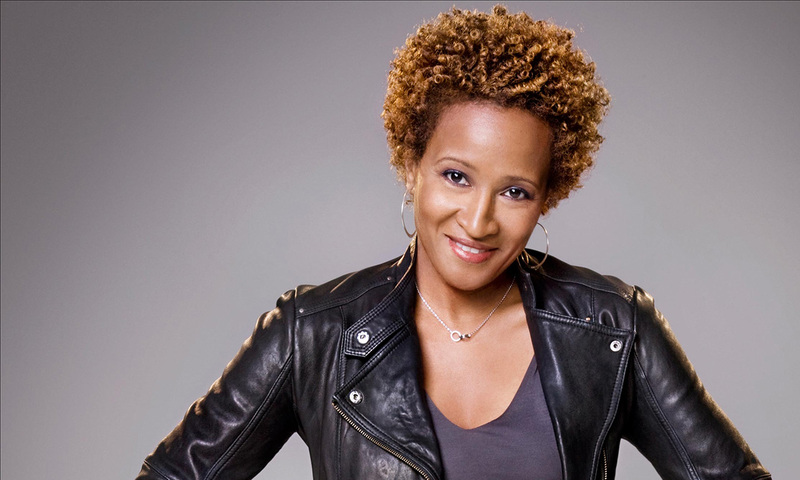 In 2010 she starred on her own late night talk show on FOX, “The Wanda Sykes Show”. In October of 2009 her second HBO stand up special “I’ma Be Me” premiered. It was taped at the Warner theatre in Washington DC where she tackled topics like the first black president, gay cruises, being a new mom and aging. The special was nominated for two 2010 Primetime Emmy awards: Outstanding Variety, Music or Comedy Special and Outstanding Writing for a Variety, Music or Comedy Special. Sykes was seen in the feature films “Evan Almighty,” the sequel to “Bruce Almighty,” in which she co-starred with Steve Carell, the New Line feature “Monster-In-Law” starring opposite Jennifer Lopez and Jane Fonda, and was heard in the animated feature “Over The Hedge” for Dreamworks as well as “The Barnyard” for Paramount Pictures.She can also be seen co-starring with Luke Wilson and Uma Thurman in the romantic comedy “My Super Ex-Girlfriend.” Sykes starred and produced the Comedy Central show “Wanda Does It” where she tried various non-showbiz jobs. Her first book titled Yeah, I Said It, published by Simon and Schuster, hit bookstores in September 2004. Yeah, I Said It is a hilarious collection of essays touching on life, family and current events. She spent 5 years as part of the HBO’s critically acclaimed “Chris Rock Show.” As a performer and writer on the show, she was nominated for three Primetime Emmy’s and in 1999 won the Emmy for “Outstanding Writing for a Variety, Music or Comedy Special.” In 2001, she won the American Comedy Award for “Outstanding Female Stand Up Comic”. She won three more Emmy’s, in 2002, 2004 and 2005, for her work on “Inside the NFL” for “Outstanding Studio Show – Weekly- Inside The NFL”.